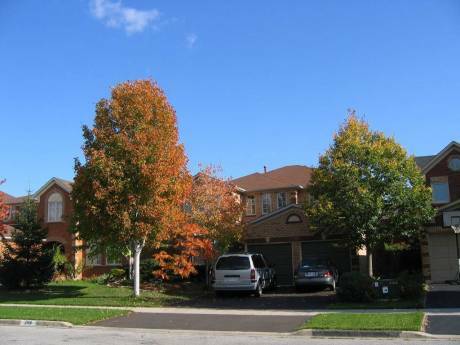 Large family home on ravine lot in the heart of Niagara's winery region. 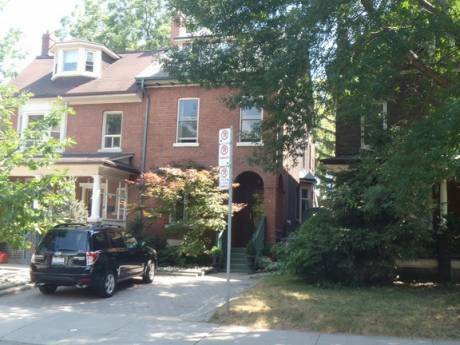 4+ bedrooms on three floors of a restored 1920's brick home in older neighbourhood. Huge,fully fenced backyard with gardens, inground swimming pool, large deck, children's climber & swings backing onto creek. Very clean, with loads of character, our home has 4+ bedrooms (3 large, 1 small nursery plus additional loft sleeping space on 3rd floor) with twins/queen or king beds (it's possible to comfortably sleep 10 people here). Two bedrooms suitable for younger children. Each floor of the house has a full bathroom. The huge master bedroom opens to a large private balcony overlooking the backyard. We have a large playroom for children on the second floor and many outdoor children's toys. Main floor, open concept living/dining/kitchen with many windows, hardwood floors and two fireplaces (one gas, one wood). Washer & dryer on 2nd floor with second washer/dryer in basement. There is a bright sunroom in the front of the house, perfect for napping, reading or listening to music. Our home is very spacious and comfortable. Well suited for an extended family travelling together. We would consider lending one of our vehicles as part of an exchange. We are a family of four - Trish (45), photographer, presently at home with Maxwell (13) and Eva (8) and Jacques (48) a business manager commuting to Toronto daily. We also have an almost two year old cat, named Ivy, who we would prefer to stay in her home during an exchange if possible. We are able to look after pets in the home of an exchange partner in exchange. We grew up in the Niagara region and prior to our return 9 years ago, lived in Halifax, Nova Scotia for 13 years. We are a well travelled family, who are excited about the prospect of another home exchange - hopefully with another family with younger children. Jacques is bilingual Eng/Fr. We have completed two successful exchanges (France 2007 & 2011) and are looking forward to future exchanges. St.Catharines is situated on the shores of Lake Ontario. Our neighbourhood is within 10 minutes walking distance to downtown St. Catharines (population 132,000) with shops, parks, playground, restaurants etc... We are also within 10 minutes walking distance of another large park with picnic facilities, outdoor public pool, supervised children's wading pool, playground and tennis courts. 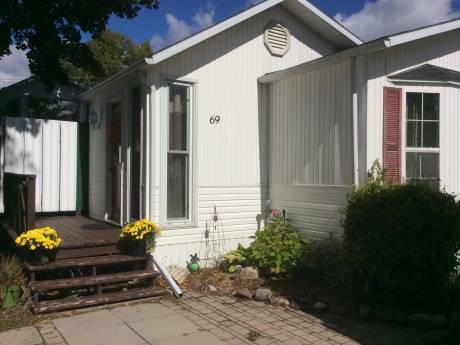 We are 20 minutes drive from world famous Niagara Falls and historic Niagara-on-the-Lake home of the Shaw Festival Theatre, Queenston Heights, and Niagara Butterfly Conservatory. The Niagara Wine route with vineyards and 50+ wineries is also nearby. The beaches of Lake Erie are a short 20 minute drive away. We are 30 minutes from the US border with New York state, 90 minutes from Metropolitan Toronto (population 4.75 million ,CN Tower, Theatre District, China Town, Ontario Place, Royal Ontario Museum, Shopping Centres) and 5 hours by train or car to the nation's capital of Ottawa (population 1.5 million ). There too many tourist attractions to list surrounding our centrally located home. Weather is ideal in the summer months, with temperatures in the high 20's Celcius, with sunny skies and little rain. A vehicle is a must to take advantage of tourist attractions in our region.